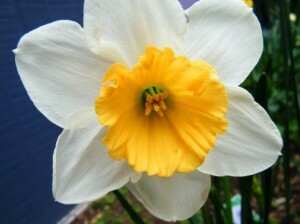 Heather O’Flynn would like help in identifying her daffodils. Heather lives in Australia and provided the attached photos and purchase information along with the time of year each daffodil blooms. Some shows do have a class for “unknown” or “un-named” daffodils. They just aren’t eligible for ADS awards. One show calls the class “Don’t know the name but we love them just the same.” If anyone thinks they know the name, they write it on after judging, or tell the exhibitor. “The Lady is not for turning” !! A Famous quote! 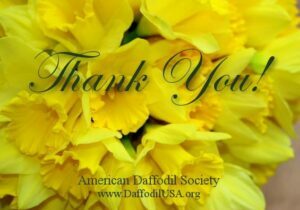 Hello Melissa, I know that daffodil breeders send out packs of discarded seedlings, and I shall be quick with the name of “unnamed seedling” in the future. However, when you get mixed bulbs at the garden center they ought to be from a commercial enterprise- my experience is that these are mostly “Ice Follies” and I do not know whom is distributing them, but if something nice turns up, I wonder if it is not more likely that an established trade cultivar is what was provided. Melissa is correct in that a mixed bag of bulbs is often unselected seedlings however I think your problem is more easily solved. It is common in New Zealand for garden centres and mass producers of bulbs to describe tazettas as jonquils. It gets more sales. I now suspect the sellers may do the same in Australia. Tazettas flower late winter through to early September whereas jonquils will generally flower in late September for you. The photos you sent show a flower form reminiscent of many of the Australian tazettas raised many years ago. I would check the foliage and bulbs. Tazetta foliage is usually dark green and remains in growth for almost twelve months of the year and the bulb is very round and dark brown. In saying that some of the Australian tazettas have normal looking bulbs and foliage so I may have been more confusing here. 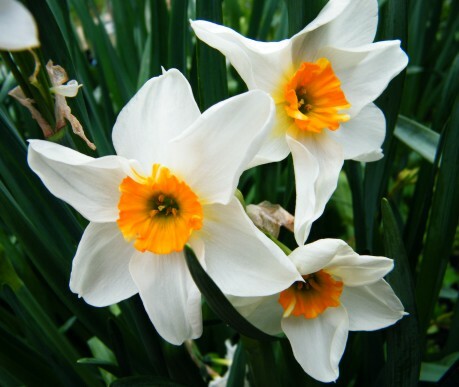 I think your jonquils are tazettas and could only be named by Australian growers who are familiar with the older cultivars.